Back in October 2014 at the last Sandstone Meeting the topic was raised concerning the use of chalk on Sandstone especially by boulderers. 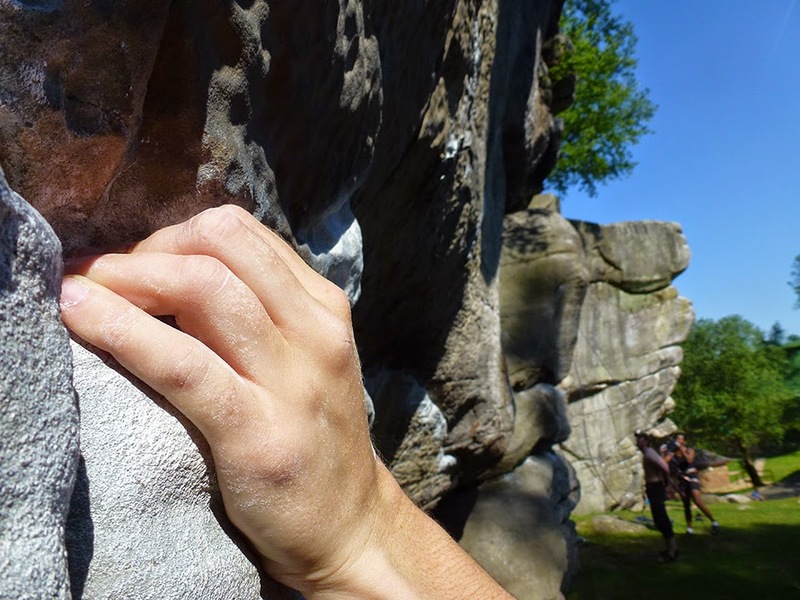 Many of us are fully aware that bouldering does increase the chalk build-up on sandstone and this can stand out quite considerably at places like Bowles. 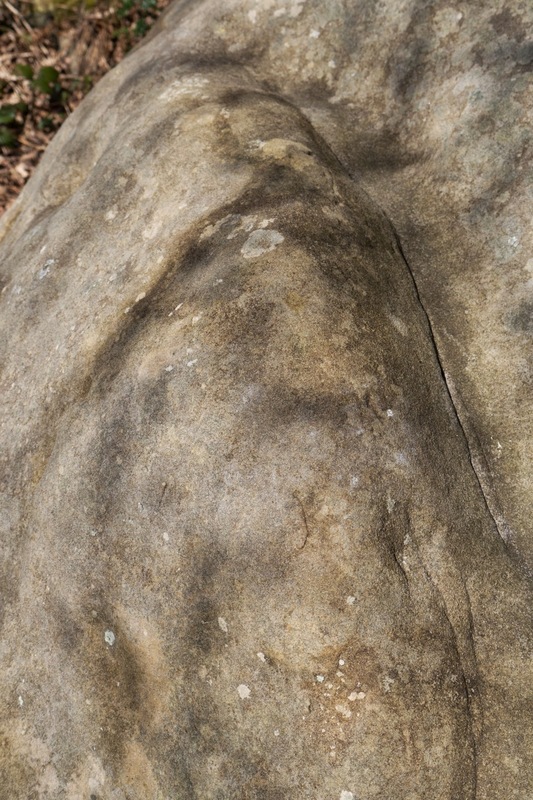 The ethics has always been that chalk should be cleaned off the rock once finished, but with popular boulder problems the chalk build-up has almost began to impregnate the rock, especially on areas that are sheltered and do not get washed by the rain. 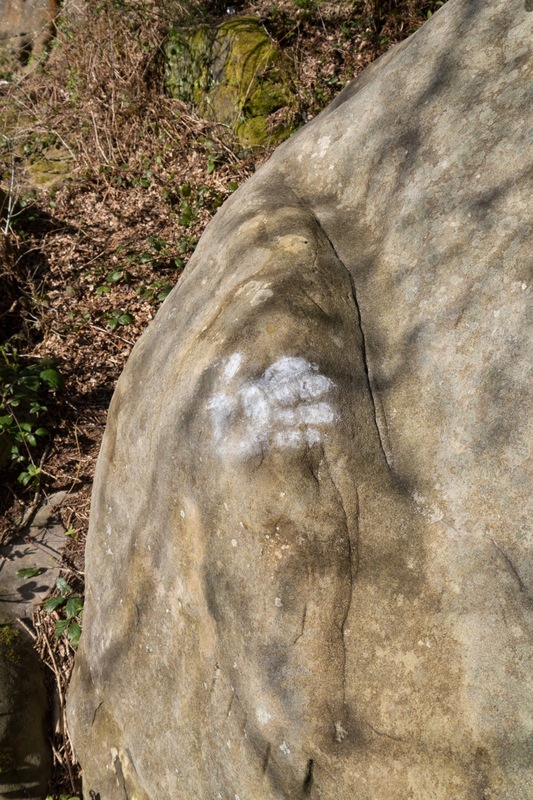 A major issue with chalk is that the build-up and potential impregnation of chalk, tends to encourage people to use abrasive repetitive cleaning methods on holds, which will eventually wear away the surface of the stone and making them unusable. We went away and had a think about this issue to see if there were any alternative products to chalk on the market. 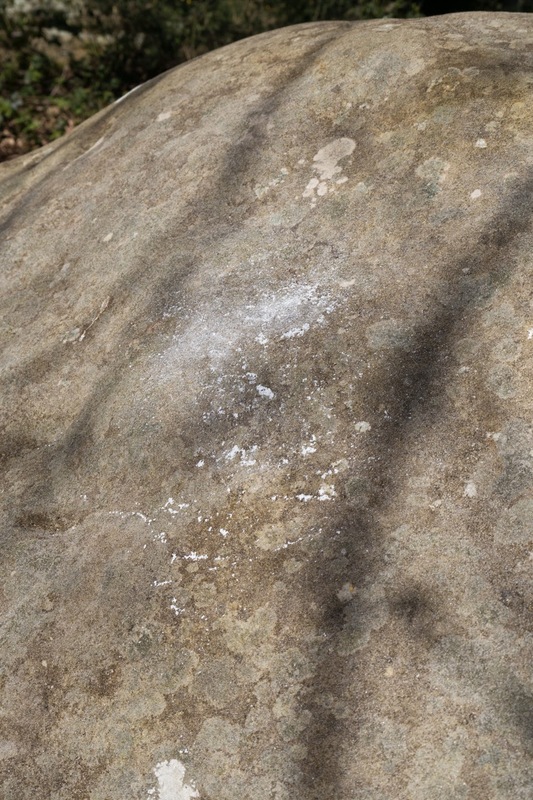 With standard chalk, ‘Chalk Balls’ have been adopted at some walls to reduce the amount of chalk build-up, but even though this helps to a degree, people tend to still over use the chalk to the same degree as standard chalk is used. Liquid chalk is also a good alternative but only proves popular with deep water soloing and ‘Redpoint’ sport climbing. 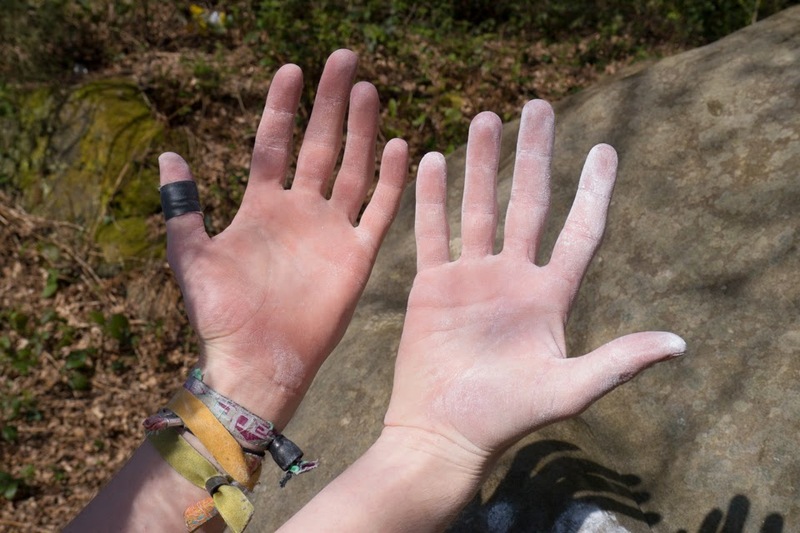 Some people find the application of liquid chalk on the hands to be a little bit overwhelming and perhaps a bit over the top for standard climbing. The Metolius Eco Ball promotes itself, as a friction-enhancing, non-marking alternative to chalk that is also environmentally friendly. The product is recognised by the Access Fund in America (The American version of the BMC) and seems to offer or at least goes some way towards solving this problem. The Eco Ball contains a substance called ‘Cabosil’. Cabosil (AKA Fumed Silica) is a non-hazardous food grade material used to thicken many products such as toothpaste, aspirin, cosmetics, adhesives and lubricants. It simply dries your hands, acting like a drying agent and does not require you to cake your hands with chalk what so ever. What is the Eco Ball good for? We have been testing them over the past couple of months in various environments to see how they work. Our initial experiments began indoor in a hot and humid climbing wall somewhere in London. When first trying it we instantly treated it as chalk, trying to coat our hands to dry them out. We just felt that we had to have a visible layer of something for it to work. We were wrong. In a standard ‘chalk’ bucket, Eco Balls create a nice hand-drying environment. With one application of Eco Ball dust, depending on conditions, we found it would last through a number of boulder problems. With regards to using the Eco Ball in a standard chalk bag, we found using it to ‘chalk-up’ mid-line on say a sport climb, was very difficult and we could not produce the same drying effect as we could when ‘chalking-up’ in a chalk bucket. On the sandstone we introduced them to a number of climbers, who like us tried to apply them like traditional chalk but soon began to understand there is a different method needed and not as much substance required to coat the hand. Where a normal coating of chalk would over time reduce the contact between your hand and the rock, this Eco Ball would not. So those micro sand grains you so desperately hang on to, are now more stickable than before. 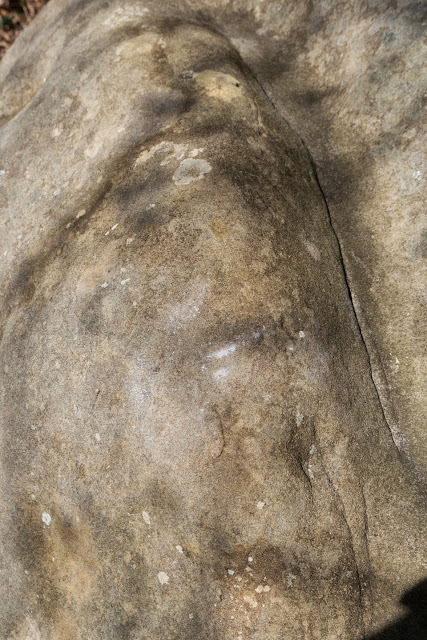 With the Eco Ball we really did struggle to prove in photographs that it does not leave much of a mark on the rock. We managed to leave an ever so slight discolouration over time, but this was easily wiped off with a soft brush and a blow. Our methods were simple. We took the Eco Ball and tried to cause an impact mark, both with the ball and also with a hand slap, only to find that the residue just sat on the rock surface. We did the same test with standard chalk using the ‘slap of the hand test’ and immediately could see the remains of a blatant handprint. Eco Balls leave little or next to no visible marks on the stone depending on the amount of substance you use and if marks are left they are easily removed. 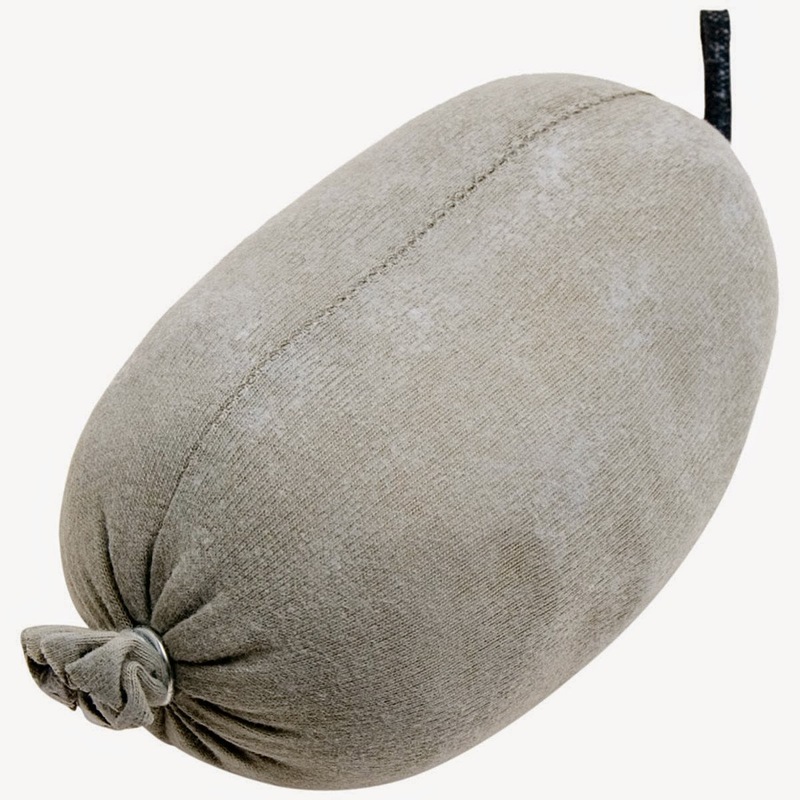 The Eco Ball is not much use in a standard chalk bag for sport climbing but showed its true potential when placed in a bouldering bucket to help create that drying environment. They offer better friction due to the lack of chalk that builds up on your hands with normal chalk. 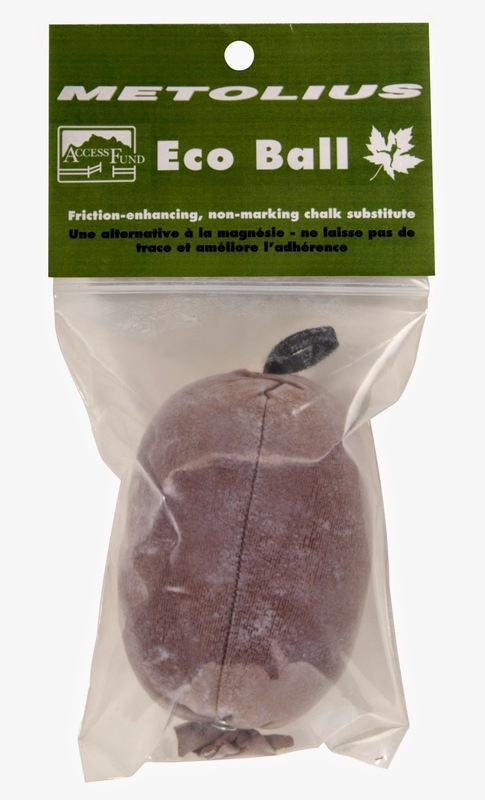 It is not a chalk replacement as chalk still has its place for sport climbing, but on sandstone Eco Balls work very well for bouldering and very much holds its usefulness on many of the top-rope lines at say Harrison’s and High Rocks. The ‘Metolius Eco Ball’ is priced around £4.50 each and will last you as long as a standard chalk ball (maybe longer) and can be found at all good climbing stores. The left hand is an Eco Ball hand ready for use. The right hand is a standard chalked hand ready for use.